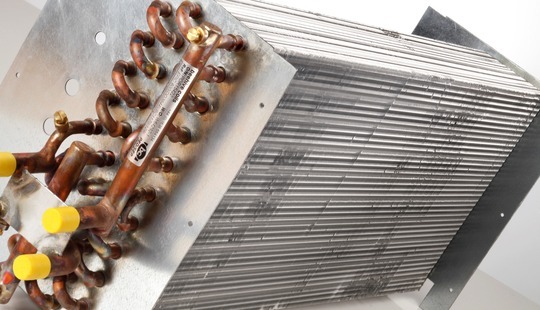 Water coils are the most straight forward heat exchanger we manufacture but also have the widest variety of uses as chilled water, low pressure hot water (LPHW) units, fan coils, heaters, chilled beams (with or without heating circuits), glycol coils and many more different applications. "Our units are designed to meet specific requirements rather than an off-the-shelf closest alternative and we manufacture using the highest quality materials and production methods to ensure that all coils give the maximum heat transfer possible"
Standard construction of our water coils is with copper tubing and aluminium fins - but there are several variants we can offer in terms of materials such as coated fins, copper fins, heavy walled copper tube plus options on case material (galvanised, stainless. 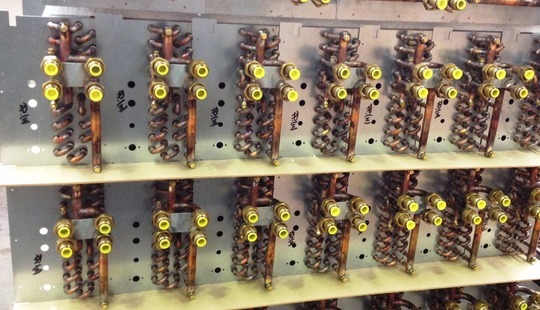 aluminium, brass or copper - all in a variety of grades to suit any application).